Laurence Olivier, internationally popular for his acting and directing, was often regarded as one of the supreme actors of his generation. Laurence Olivier was born on May 22, 1907, in Dorking, Surrey, England, the third child of Gerard Kerr Olivier, a minister, and Agnes Crookenden. As a child Olivier imitated the forceful sermons he saw his father give. His mother, whom he was close to, encouraged him to learn and recite dramatic speeches from plays instead. His first appearances on the stage were in schoolboy productions of plays by William Shakespeare (1564–1616). Olivier was crushed by the sudden death of his mother in 1920, and he used acting to help deal with his pain. When his school, St. Edward's in Oxford, England, was invited to put on a performance of The Taming of the Shrew at the Shakespeare Memorial Theatre in Stratford-upon-Avon, England, in 1922, Olivier's performance as Katharina attracted considerable attention. To prepare for a career in acting, Olivier studied at the Central School in London, England. He found his first paying jobs in the theater during term holidays, working as an assistant stage manager and playing small roles. After a year of experience at various theaters, Olivier joined the Birmingham Repertory Company in 1926, appearing in She Stoops to Conquer (1927) and a modern dress production of Macbeth (1928). At the age of twenty he also played the title role in Anton Chekhov's (1860–1904) Uncle Vanya (1927). In 1928 Olivier had a part in the first production of Journey's End, considered one of the greatest plays ever about the horrors of war. In 1929 he made his first New York City appearance in Murder on the Second Floor and also worked in his first film, The Temporary Widow. His role in Private Lives (1930) brought him his first real commercial success, and soon after he made his first appearance in a movie made in Hollywood, California. However, his early film career was filled with disappointments, including Greta Garbo's (1905–1990) refusal to accept him as her leading man in Queen Christina. Back in England in 1934 Olivier received positive reviews for his performances in Queen of Scots and Theatre Royal. He next tackled his first major Shakespearean roles on the professional stage, alternating the parts of Romeo and Mercutio with John Gielgud (1904–2000) at the New Theatre (1935). The following year Olivier starred in his first Shakespearean film, As You Like It. Although disappointed with the film, he used the actors and composer William Walton for future Shakespeare productions. In 1937 he joined London's Old Vic Company for a season, playing in Hamlet, Henry V, Macbeth, and Twelfth Night. Having demonstrated his range and skill in interpreting Shakespeare's works, Olivier was now recognized as a top-notch stage actor. Three major screen roles, in Wuthering Heights (1939, for which he was nominated, or put forward for consideration, for an Academy Award for Best Actor), Rebecca (1940, a second Academy Award nomination), and Pride and Prejudice (also 1940), firmly established Olivier's film career. Also in 1940 Olivier and Academy Award winner Vivien Leigh (1913–1967) were married. In 1941 Olivier and Leigh played the tragic lovers in That Hamilton Woman, regarded as one of the great romantic films of the era. France, the Soviet Union, and the United States) Olivier served with the Fleet Air Arm and was released twice to act in British war films. In 1943 and 1944 he appeared in a film version of Henry V, originally planned as a propaganda project (the spreading of ideas or information to help a cause) for the British war effort. He won a special Academy Award for his triple triumph as director, producer, and star of the film. Olivier was discharged from the service to join the Old Vic's management in rebuilding the company after the difficult war years. He remained with the company until 1949. Some of his most memorable roles during this time were in Arms and the Man (1944) and Uncle Vanya (1945); he also played the title roles in Richard III (1945) and King Lear (1946), the latter of which he also directed. Perhaps his most demanding performance was for the double bill in which he appeared in Oedipus Rex and The Critic (1945). Returning to film direction in 1948 with his famous black-and-white version of Hamlet, Olivier won an Academy Award for best actor, and the film won the award for best picture. Olivier was also knighted by King George VI (1895–1952) of England. In 1951 Olivier appeared in Antony and Cleopatra and Caesar and Cleopatra in both London and New York City. He also performed in The Sleeping Prince (1955), Macbeth, and Titus Andronicus during the 1954 and 1955 seasons at the Shakespeare Memorial Theatre, and in Coriolanus (1959), again at Stratford. He scored his first success in a modern role as the music hall comedian Archie Rice in The Entertainer (1957), repeating the part in the 1959 film version. He also directed and starred in The Prince and the Showgirl (1957) opposite Marilyn Monroe (1926–1962). In 1961 he was appointed the first director of the Chichester Festival Theatre. Uncle Vanya, starring Olivier and his third wife Joan Plowright (1929–), proved to be a huge success for the company's opening 1962 season. Olivier was then named the first director of the state-supported National Theatre, a position he held until 1973. For the National's opening 1963–64 season Olivier directed Hamlet and appeared in Uncle Vanya (which he also directed) and The Recruiting Officer. In later seasons he appeared in Love for Love (1965), The Dance of Death (1967), The Merchant of Venice (1970), and A Long Day's Journey into Night (1971). His most significant production as director was Chekhov's The Three Sisters in 1968. He also directed the 1970 film of the production. In 1970 Olivier was given the title Lord Olivier of Brighton—becoming the first actor to achieve such a rank. 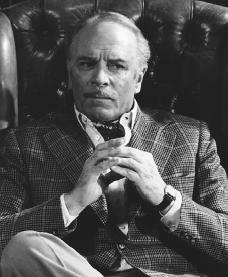 During his National years he appeared in several other filmed stage productions, and his commercial films included Nicholas and Alexandra (1971) and Sleuth (1972). After leaving the National, Olivier appeared in twenty-nine films in thirteen years, including Marathon Man (1976), A Bridge Too Far (1977), A Little Romance (1979), and The Jazz Singer (1981). During this span he received two more Academy Award nominations, becoming the most nominated actor in history. In 1982 Olivier wrote his autobiography (the story of his own life) Confessions of an Actor; another book, On Acting, was published in 1986. In 1987 he announced to the world his retirement from motion pictures, but he promised to remain active in television. On July 11, 1989, Olivier died in Amhurst, England, of complications from a muscle disorder. Hirsch, Foster. Laurence Olivier. Boston: Twayne Publishers, 1979. Holden, Anthony. Laurence Olivier. New York: Atheneum, 1988. Lewis, Roger. The Real Life of Laurence Olivier. New York: Applause, 1997. Olivier, Laurence. Confessions of an Actor: An Autobiography. New York: Simon and Schuster, 1982. Spoto, Donald. Laurence Olivier. New York: HarperCollins, 1992. I have two letters from Olivier sent to me in the early 1960's. As I had written to him at his offices in London. I had sent him a Xmas card which he wrote back to me and thanked for it. He also sent me two signed photographs which sadly where lost in a move some years later. I had seen him on TV in Richard 111 and thought his performance brilliant and I became a fan of Laurence Olivier and I began to read Shakespeare myself and I went to plays at the Old Vic London. I would have loved to have seen him in his heyday in some of his greatest classical roles what an actor he was one of the greatest I think.